The flashing red and blue lights from a cop car in your rearview mirror can send you into a panic. It’s a feeling that anyone who has been pulled over knows all too well; you are about to get a ticket. Perhaps you know you did something wrong. Or, you may feel strongly that there is no sound reason for the traffic stop. How you “feel” and what you “know” are of little consequence to a police officer in Dutchess County who feels they stopped you for good reason. And, make no mistake about it, if you are suspected of a serious traffic violation – driving while using a cell phone, speeding, DWI and several other charges – you will be ticketed. Points accrue quickly in New York where driving privileges can be suspended or revoked after only 11 points are accumulated in an 18-month period. When your driver’s license is taken, you may not drive for any reason. If you do, you face even stiffer fines and additional time with a suspended license. Jail time is a real possibility in some cases. Also, it’s important to realize that even if you live outside New York, your ticket – the points, the fines and the license suspension – will follow you home. New York’s Department of Motor Vehicles won’t hesitate to make sure your state’s DMV is well aware of your New York traffic violation. So, what can you do to protect your driving privileges and possibly beat the ticket? You can hire a savvy, knowledgeable traffic ticket lawyer who knows the courts in Dutchess County and will fight to protect your rights and your pocketbook. Keep you apprised of all aspects of your case. Most of all, Mr. Katz will stand up for you in court; in many cases, he can represent you without you returning to Dutchess County or having to take time off of work to appear in court. Don’t Ignore the Traffic Ticket! In your anger and frustration over getting stopped in the first place, you may think it’s easier to throw away the ticket and forget about it. That’s not a good idea for many reasons. First, it’s likely that the judge will issue a warrant for your arrest. You will then be arrested and forced to appear in court anyway. You’ll still have to pay the fines and will probably have considerably more penalties on top of what you were already facing. You’ll also still get the points on your license and DMV will notify your insurance company. Additionally, you won’t get multiple chances to fight your traffic violation. If you ignore the ticket or decide to pay and plead guilty, you’ve essentially given up your day in court. Many people don’t realize this until they see how one ticket increases their annual insurance premium; you’ll wish you could turn back time and go before a judge to fight your ticket. Make no mistake about it, ignoring a traffic ticket in Dutchess County New York is a bad idea in every respect. So is paying the ticket and pleading guilty. Instead, speak to a qualified traffic ticket lawyer who knows the judges and prosecutors in Dutchess County and will use his experience to your advantage. Hire a lawyer who will protect your interests and fight to get your charges reduced or dismissed. When you get stopped by a police officer in Dutchess County, NY, you may very well receive a ticket for not one or two but multiple violations. That’s because law enforcement officials here take traffic and safety laws very seriously. You’ll be facing harsh fines, motor vehicle points and increased insurance premiums . You may even have your driver’s license suspended or revoked. Fines: In addition to court costs and other mandated fees such as surcharges and driver’s assessments, all traffic violations come with stiff fines. Some charges, such as DWI/DUI, high speed tickets, repeat offenses and distracted driving tickets – will have increased financial penalties associated with conviction. Driver’s License Points: When you are convicted of any moving violation in New York, the charge will get reported to the Department of Motor Vehicles. Even if you don’t live in New York, the NY DMV will inform your home state of your charges and associated points. Suspended or Revoked Driver’s License: Points add up very fast. In New York, if you accumulate 11 more points in an 18-month period, you may have your license suspended or revoked. Some higher-point tickets are usually issued with other violations during one traffic stop. A ticket for distracted driving, for example, is worth five points. A reckless driving or high-speed ticket will increase your point count and put you dangerously close to a suspension. It’s extremely important to protect your driving privileges in Dutchess County, New York . Without a license, you may need to depend on friends, family and public transportation to get to and from work and school. All areas of your life will be affected by your inability to drive. 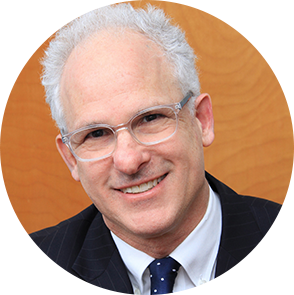 Jonathan Katz knows that it’s critically important to protecting your driver’s license. He will work tirelessly to negotiate with the prosecutors to get your ticket downgraded so there are no points attached to it. Traffic tickets are expensive and frustrating. If you got stopped and charged with a traffic violation anywhere in Dutchess County, you need to hire a savvy lawyer to fight for you in court. Contact Jonathan D. Katz, Esq. today to schedule a consultation about your charges. He will advise you about the best way to proceed based on your situation. He will then negotiate with the prosecutor on your behalf and put his experienced to work for you in an effort to protect your driver’s license and your driving record. Remember, it’s not always necessary to appear in court on your own behalf. In many cases, you won’t have to return to the Dutchess County town where you received your ticket. Mr. Katz can and will represent you in court. Contact him to schedule a consultation today.